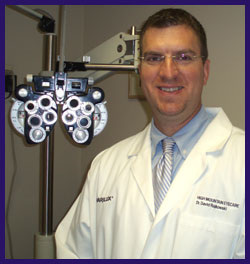 Dr. David Rajkowski is a graduate of Fairfield University and the State University of New York, College of Optometry. He is an optometric physician board certified in the treatment and management of ocular disease. His training includes internships at Omni Eye Services, Islen, NJ and the USMA Optometric Clinic at West Point, NY. 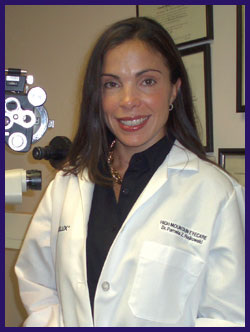 Dr. Lori Joy Napolitano is a graduate of Quinnipiac University and Pennsylvania College of Optometry at Salus University. She is an optometric physician board certified in the treatment and management of ocular disease. 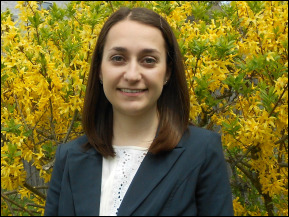 Her training includes internships at Ophthalmic Consultants of Connecticut, Fairfield Ct, Jamaica Plains Veterans Hospital, Boston, MA, Liva Eye Center, Paramus, NJ and Omni Eye Services, Iselin, NJ. After graduation, she completed a one year ocular disease residency program at Omni Eye Services of New Jersey. Dr. Napolitano is a member of the American Optometric Association, American Academy of Optometry and New Jersey Society of Optometric Physicians. Dr. Napolitano grew up in Bergen County, New Jersey. Her hobbies include travel, piano, and reading. ​Dr. 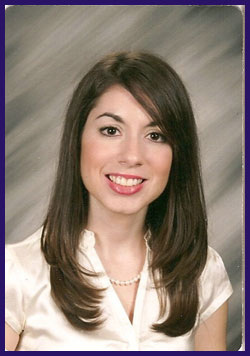 Christine Corrente is a graduate of Georgetown University and the State University of New York College of Optometry. She recently joined Maple Eyecare & High Mountain Eyecare. If she looks familiar, you may have met her while she was completing one of her optometric internships with us. Her additional training includes internships at SUNY Optometry’s Manhattan-based eye clinic, the VA New Jersey healthcare clinics at Lyons & East Orange, and the Naval Health Clinic/Naval Academy clinics in Annapolis, Maryland.